The Conversations program makes such a difference in Mom's life. She loves art and music, so the opportunity to spend time enjoying the beautiful Kreeger Museum, seeing and discussing a striking work of art and then listening to a fabulous music program is such a treat. It lifts her spirits and brings her such joy and makes her feel like her old self. 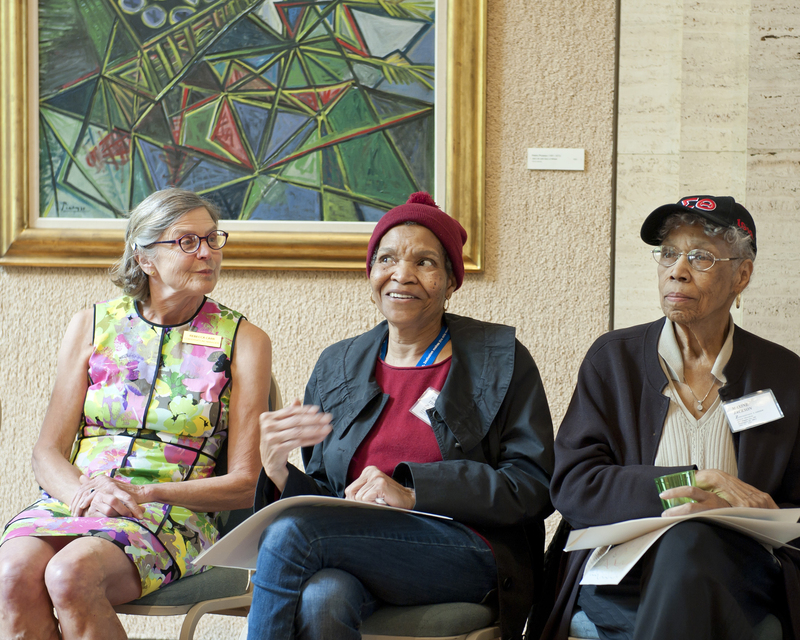 Conversations, a program for individuals with mild to moderate memory disorders and their caregivers, provides a forum for dialogue and connection through art and music. Each hour-long program includes an interactive gallery talk and a musical component provided by our partner, Levine Music. The experience is designed to stimulate reflection, reduce stress, and increase communication and sociability. Offered the second and third Monday of each month at 11 am and 2 pm, this program is free but registration is required. Please call (202) 337-3050 x 318 or email conversations@kreegermuseum.org. Picasso remained in Paris during WWII when food was scarce; we will think about Paris under the German occupation and how the subject matter of this work reflects the hardships, psychological and physical, of the time. 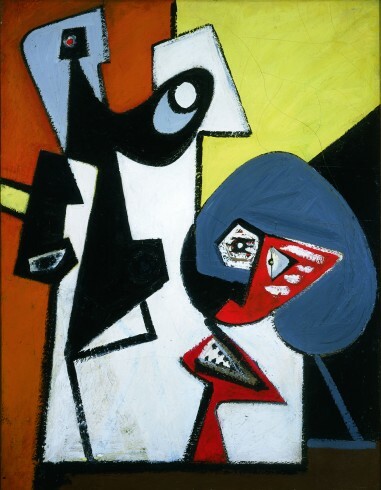 Arshlie Gorky, Untitled, 1936-1937, Oil on canvas, 40 x 31 inches, The Kreeger Museum. 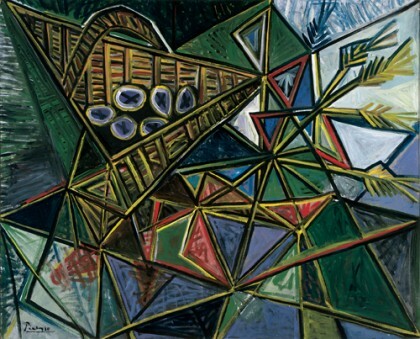 Gorky holds an important place in the art world of the 20th Century, linking Europe to America and one generation to the next. Our discussion focuses on Gorky’s deep admiration for the works of Picasso and Miró, and how, more generally, creativity and ideas are passed from one generation to the next. 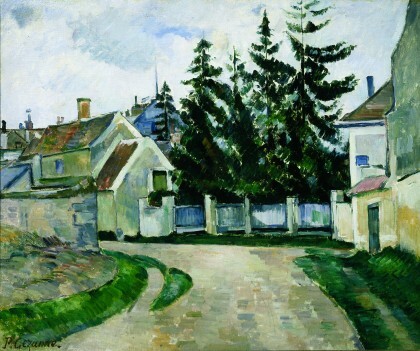 Paul Cézanne, Houses and Fir Trees (Maisons et sapins), Oil on canvas, 18 1/2 x 21 3/4 inches, The Kreeger Museum. Cézanne was considered one of the most innovative artists of his time; this painting serves to demonstrate how the artist’s individual curiosity shaped a dramatic change in the art world. Claude Monet, The Rock Needle and the Porte d'Aval Seen from the West (L'Aiguille et la Porte d'Aval vues en amont), Oil on canvas, 31 7/8 x 25 3/8 inches, The Kreeger Museum. 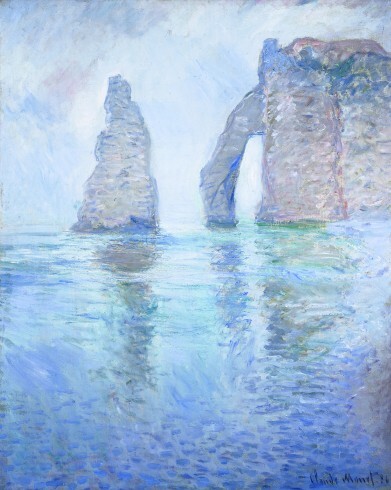 Monet grew up in Normandy and this famous rock formation was a frequent subject for his paintings. Attracted to the light on the water and cliffs, Monet attempts to capture the scene with dazzling color and varied brushwork. 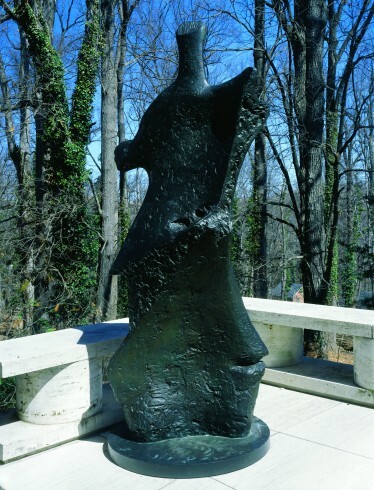 Henry Moore, Standing Figure: Knife-Edge, 1961, Bronze, (numbered 7/7), with base, 117 1/2 x 52 x 43 inches,The Kreeger Museum. Surrounded by great trees, Moore’s Knife Edge stands like a sentinel on the Museum’s Sculpture Terrace. Moore liked his sculptures to be placed outside and thought of them as part of the landscape - we’ll consider this idea and the context of work in its surroundings. Conversations art talks are offered on the 2nd and 3rd Monday of each month (except major holidays and the months of July and August) at 11am or 2 pm. All programs last approximately 60 minutes. There is no charge. Please call 202-337-3050 x318 or email conversations@kreegermuseum.org. Group visits are also available. •At least one family member or caregiver must accompany the individual with memory loss. • Programs are wheelchair accessible and free on-site parking is available. To make a tax-deductible donation to Conversations at The Kreeger Museum, click here. For corporate or foundation sponsorship opportunities, please contact: Helen Chason, Museum Director, at 202-337-3050 x23 or email hchason@kreegermuseum.org.